Who's Making The Best Cordless Drill In The Market? Sorry, Nobody! 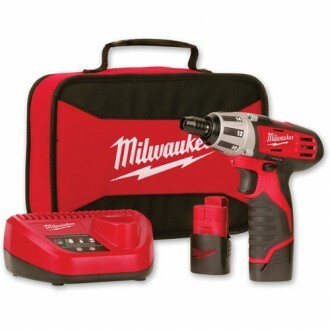 Home/Tools/Who’s Making The Best Cordless Drill In The Market? Sorry, Nobody! There are lots of myths about cordless drill; people are not sure about the performance of such drills. Due to the vast usage of drills, people look for drills which are great in performance and can be used in different formats and usage patterns. I have many times entered into hardware shops but have left without purchasing anything, as there are many choices and it was really difficult to make a choice. I have made everything simple by breaking the cordless drill world into six types of the drill and with various power levels. It will make the selection easy and you can choose one for you as per your usage pattern. Cordless screwdrivers are very small and are quite light as compared to the light weight version of the cordless drill. These drivers operate on very light voltage which is normally less than 10V and can be used very efficiently for light duty tasks like assembling furniture and other similar tasks. This tool is also very important when you think of cordless drills. These can be used for medium duty tasks and usually operate on 12V to18 V of power. These can be used for both light duty tasks and can also be used occasionally for serious DIY jobs. These are normally referred as another form of drill driver and can work in the spaces which are quite tight, where normal drill cannot reach. These angle drills are quite popular with plumbers and electricians. Right angle drill is a specialty tool and slightly bigger than drill driver, it can operate from 18V to 36V power. As the name indicates, these can be used for the actions where hammering action is required. These are quite commonly used by masons to break the concretes. These drills are used with care, these drills can delivers thousands of blows in a minute. These are be used with care as there are chances to injure your wrist while operating it, you need to use secondary handle otherwise the bit gets jammed. This is another specialty drill, this has a function which helps you to quickly and accurately drive screws to the required depth, some of these have the capability of auto feeding screws for you. There are many such tools available, but given a choice I will go for Black and Decker cordless drill driver. I personally use Dewalt 14.4V cordless drill driver and Dewalt 7.2V cordless screwdriver. There is a great advantage using both as during woodwork, you need to have holes of different sizes, using both saves lot of time and does not hamper your work. You must choose the one as per your job requirements; you must buy the cordless drill as per your need and budget. While selecting a cordless drill make sure that it has key-less chuck also, this will ensure quick change of bits with ease. Buying cordless drill without giving a proper thought will only add to your woes as you may find it difficult to use, hence be careful in the selection.